The five warehouses proposed by Industrial Realty Group will have a significant impact on some of the open spaces that residents of the region of have used for more than 40 years. As the map below shows, the area north of South 336th Street--where the Technology Center exists today --will see the largest impact if the proposed three warehouses totaling nearly 1.1 million square feet (not including parking lots) are allowed to be built. 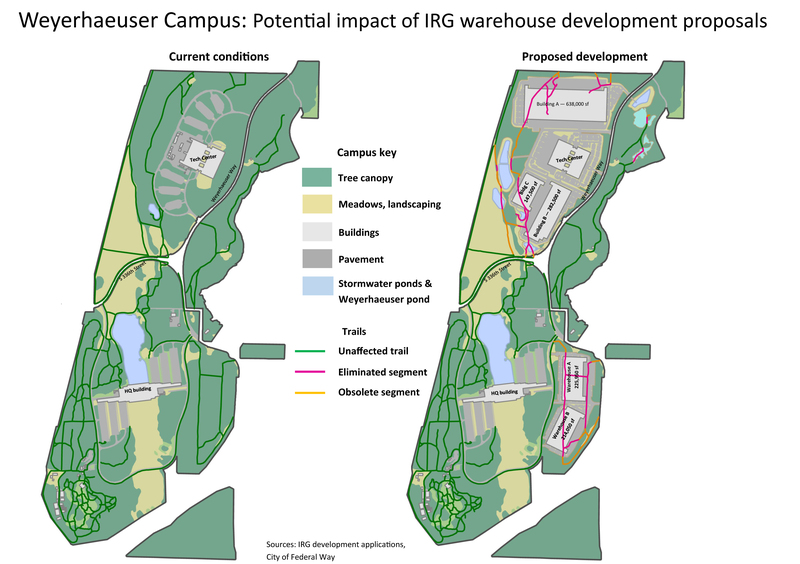 Below the map are renderings, taken by IRG's applications to the city, that show what the area north of South 336th Street might look like once the forests are clear-cut and the warehouses are erected.